Creative ZiiO. 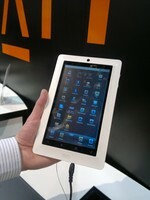 APT-X is HQ, Tablet Not-So. 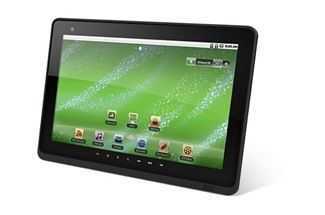 If there’s one thing that gets me going it’s a mobile device with great audio features. I love music discovery, mobility and quality. The fewer wires, the better. 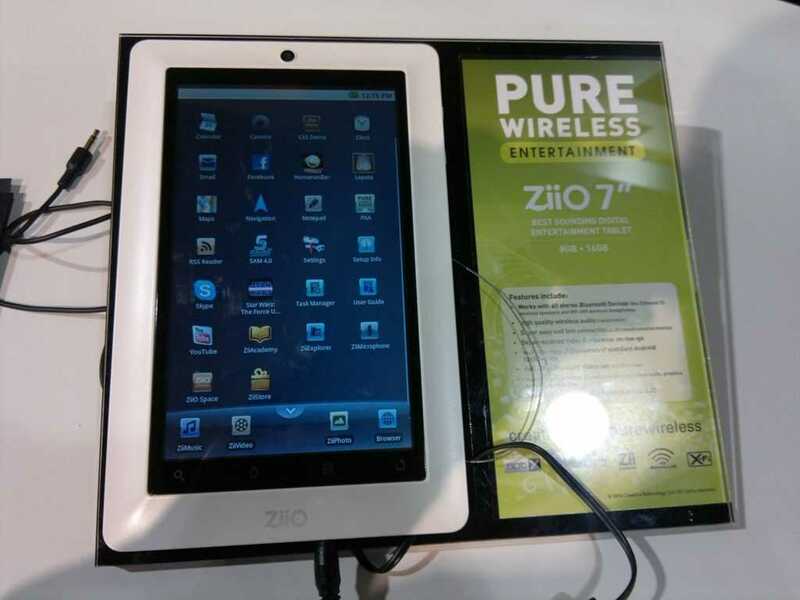 The Creative ZiiO 7 and 10 inch devices have just such a feature and having tested it at CES I can say that I’m now a fan of APT-X and I want to integrate an Android tablet into my lounge Hi-Fi as soon as possible. 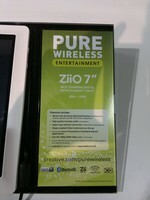 I’m not sure the Creative ZiiO tablets are the hardware I’d use though. APT-X is a brand of licensed codec that can be used over the A2DP Bluetooth profile to provide CD-Quality output. The default A2DP profile (SBC) falls short of that, and it’s noticeable. Obviously APT-X is an optional, licensed codec and you won’t find it on many Bluetooth implementations but I’m hoping it feeds its way into more stacks as soon as possible. 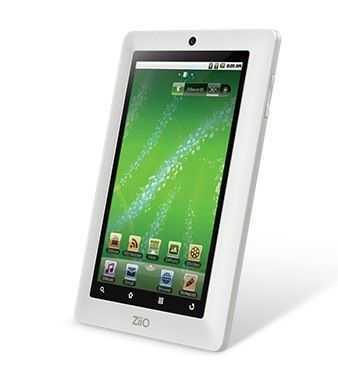 The ZiiO Tablets themselves are somewhat sub-par. The screen is dull, includes resistive touch, there’s no Google Market and while the device might be cased in rugged plastic, it looks and feels low-quality. I wrote about them previously and even then, when information was thin on the ground, the standout feature was APT-X. The price of â‚¬249 for the 7 inch version is reasonable for a Cortex A8 device and Creative have added some nice A/V software but without the Google market and with the screen issues, you might be disappointed. The UK sales page is here. Admittedly, the 10 inch version (â‚¬350) does look better and when it gets an Android 2.2 upgrade, might be worth taking a second look, as long as you don’t mind a resistive touchscreen. I tested the ZiiO 7 with the Creative WP-300 headphones that also support APT-X. The quality and comfort surprised me. The quality also carries on through the Creative Speakers and this is obviously the key feature. There’s a unique selling point here and it’s all to do with music around the home. 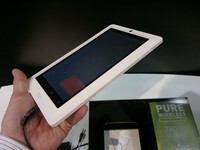 I like that idea but I hope Creative bump up the quality of those tablets to match what I heard. Maybe products based on the SiVO Digital Home Platform (announced at CES) will be better. 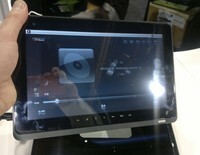 Interestingly, I tested the WP-300 headphones with the Galaxy Tab while I was on the stand and I thought the quality was good despite not supporting APT-X. (At least as far as I know.) I’ve never spent $90 on a pair of headphones before but they sounded so good that I’m very tempted. If the Galaxy Tab gets APT-X support in it’s next firmware, I’ll be pushing the button for sure.